Maybe nerves got to Serena Williams again. Maybe she was bothered by her thigh injury. Maybe Garbine Muguruza was too good again. Whatever the case, Muguruza won her first Grand Slam title today, outslugging Williams 7-5, 6-4 in the French Open. Williams, the defending and three-time champion, saved four championship points serving at 3-5 in the second set. Then the fourth-seeded Muguruza, showing remarkable composure, held serve at love for the title in Paris. At 40-0 in the final game, Muguruza hit a backhand lob that Williams, who was in position to return the shot, watched land on the baseline and let it go. The top-ranked Williams applauded with one hand on her racket strings as Muguruza, after initially not realizing the ball was in, fell on her back in celebration. "I can't explain with words what this day means to me," Muguruza told reporters. Williams was typically diplomatic afterward, praising Muguruza for her "unbelievable" play and refusing to make excuses. But Williams was uncharacteristically subdued during the match, looking lethargic and downcast between points instead of pumping her fists and shrieking "Come on!" as usual. Still, Williams had better ratios of winners to unforced errors (23-22) and aces to double faults (7-4) than Muguruza (18-25 and 4-9). But Muguruza converted 4 of 10 break points to Williams' 2 of 8. Muguruza improved to 2-0 against Williams on clay, having romped 6-2, 6-2 in the second round of the 2014 French Open. Williams leads the overall head-to-head series 3-2. "She has a bright future, obviously," said Williams, who at 34 is 12 years older than Muguruza. "She knows how to play on the big stage, and ... clearly, she knows how to win Grand Slams." At 6 feet (1.82 meters), Muguruza is one of the few players who can match Williams' power. 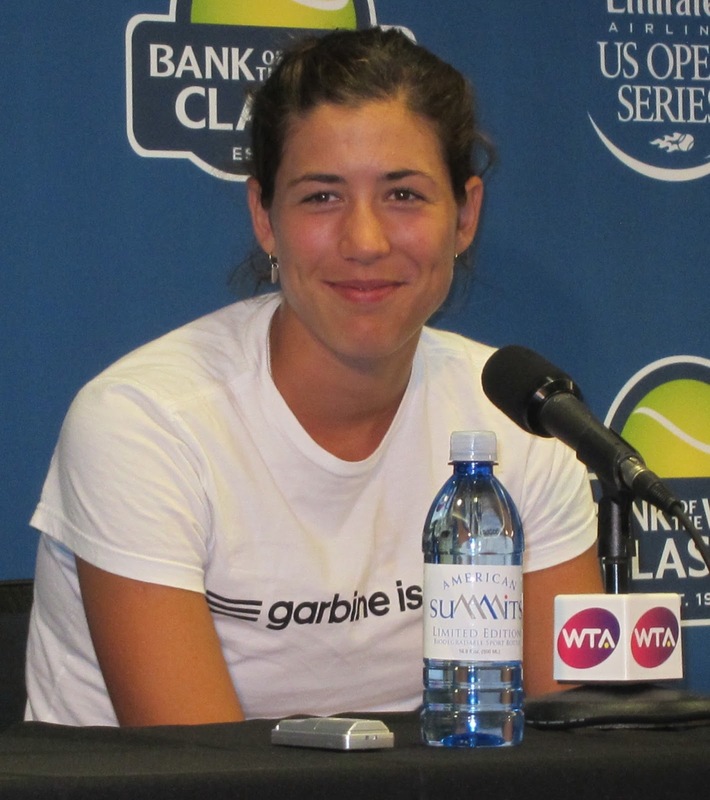 "I just have a very aggressive game," Muguruza explained. "I go for my shots with no regrets." Muguruza, who was born in her mother's native Venezuela and has a Spanish father, became the second Spanish woman to win the title at Roland Garros. International Tennis Hall of Famer Arantxa Sanchez Vicario, who attended today's final, triumped in 1989, 1994 and 1998. Muguruza was playing in her second Grand Slam final. Williams beat her 6-4, 6-4 for her sixth Wimbledon title last year. Williams is now 0-3 in her attempt to tie Steffi Graf with 22 career Grand Slam singles titles, second behind Margaret Court's 24. Attempting to achieve the first calendar-year Grand Slam since Graf in 1988, Williams lost to 43rd-ranked Roberta Vinci of Italy in the U.S. Open semifinals last September. Williams also lost to sixth-ranked Angelique Kerber, playing in her first Grand Slam final, in the Australian Open in January. "The pressure of leaving an indelible mark on history is incomparable," Williams' coach, Patrick Mouratoglou, told The Associated Press. Offered Williams: "The only thing I can do is keep trying." Both Muguruza and Williams have won titles in the Bank of the West Classic at Stanford. 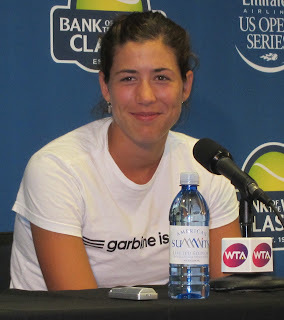 Muguruza prevailed in women's doubles with countrywoman Carla Suarez Navarro in 2014, and Williams took the singles crown in 2011, 2012 and 2014. Meanwhile, the Grand Slam drought of former Stanford stars Bob Bryan and Mike Bryan continued. The fifth seeds lost in the men's doubles final at Roland Garros for the second straight year, falling to 15th-seeded Feliciano Lopez and Marc Lopez (no relation) of Spain 6-4, 6-7 (6), 6-3. The 38-year-old Bryan twins have won a record 16 Grand Slam men's doubles titles, including the French Open in 2003 and 2013, but none since the 2014 U.S. Open. They never won the SAP Open in San Jose, Calif., just down the road from Stanford. The tournament ended a 125-year run in Northern California in 2013. Feliciano Lopez, a 34-year-old left-hander, and Marc Lopez, 33, won their first Grand Slam title, together or separately. Marc Lopez was playing in his third major final, including the 2014 French Open with countryman Marcel Granollers, and Feliciano Lopez his first. The two Lopezes, who saved six match points in the quarterfinals against 2013 champions Julien Benneteau and Edouard Roger-Vasselin of France, became the first Spanish team to win the men's doubles title at Roland Garros since Sergio Casal and Emilio Sanchez in 1990.